Whether you're a beginning decorator or just want to learn a new trendy project, these DIY-Lish kits are a great place to start. From mermaids to woodland creatures, the kits in this collection feature projects that appeal to bakers and decorators of all ages. Each kit also includes a step-by-step instructional card, as well as various tools and supplies to help you complete your project. 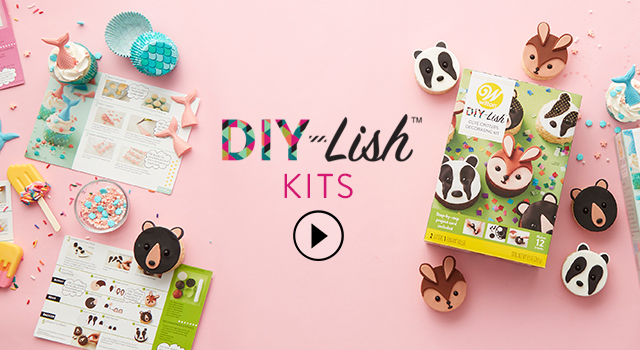 No matter which kit you choose, you're sure to cook up something that's DIY-Lish!